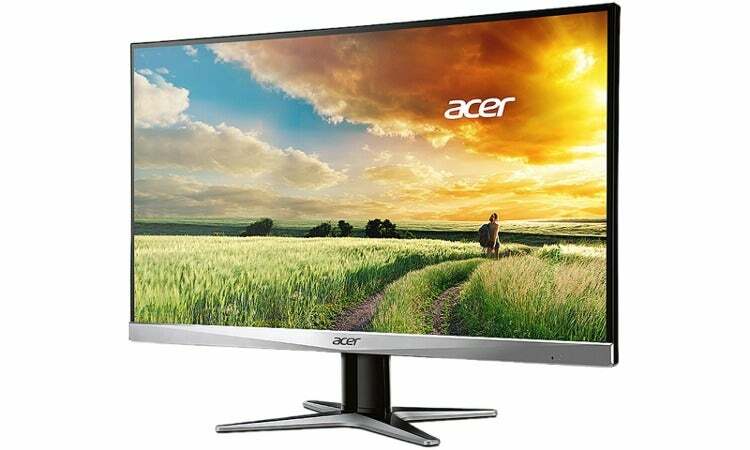 If you'd like to try gaming at 2560x1440, the Acer G247HYU is available for a good price right now. Newegg has a good price on a 2560x1440 monitor right now. Until Tuesday, you can pick up the 23.8-inch Acer G7 Series G247HYU for $170. That’s close to $40 cheaper than what you’ll find on Amazon’s marketplace, and $50 cheaper than a few other retailers. The G247HYU has an IPS display with a 4ms response time and a 60Hz refresh rate. There’s nothing fancy built-in to this monitor such as AMD FreeSync or Nvidia’s G-Sync, but for casual and beginning PC gamers it’s still a nice little monitor. On the back it has one DVI, one HDMI, and DisplayPort. There are also two built-in speakers, and it can tilt between -5 and 15 degrees, making it easier to suit a variety of set-ups. While you can play games on a 2560x1440 monitor like this, it’s probably not a good idea to try it with a graphics card lower than a GTX 1060 or an RX 580. That’s if you want to hit that all important sweet spot of 60 fps gaming on PCs—if you want to play on High settings in most games, at least. Other “extras” Acer built-in to this monitor include Flicker-less Technology for reducing eye strain, and a “Zero Frame Design.” The latter basically means the sides and top of the monitor are very thin.